Windshield repair service from Alabama GlasTek is a time-tested, reliable way to extend the life of your windshield. When your windshield sustains damage, Alabama GlasTek can repair the damage at a fraction of the cost of a full windshield replacement. The windshield repair process is so reliable that most insurance companies are all too happy to cover the cost of your repair! Learn more about Alabama GlasTek and your insurance company. If left untreated, damage to your windshield WILL eventually destroy the glass. Small bumps in the road, changes in temperature, and time can cause the damage to spread all of a sudden or in small increments eventually leaving your windshield with an end-to-end crack, an ever growing bull's-eye, one of several types of breakouts, stress cracks, and more. As soon as your windshield chips, cracks, or breaks, call Alabama GlasTek at (205) 592-4527 for a fast, reliable repair. 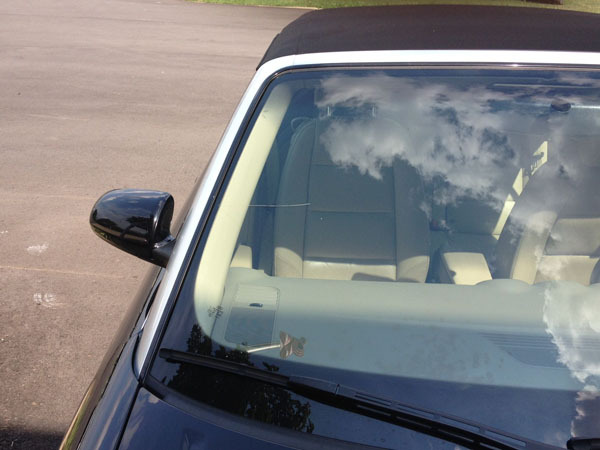 Free mobile service for all windshield repairs and replacements in Birmingham. We work with your insurance company to resolve claims fast, often at no cost to you. All windshield repairs are guaranteed to withstand rain, wind, and even frost for as long as you own the vehicle. The damaged area is thoroughly cleaned to remove all dirt, pieces of glass, water, and other debris. The damage is pressure-filled with a special windshield repair resin. The windshield repair resin is allowed to cure and your windshield repair is complete. The longer you wait to get your windshield repaired, the more likely the damage to your windshield will leave a permanent blemish even if fixed. By waiting you increase the chance of dust, dirt and other impurities to get into the crack. A simple act such as turning on your windshield wipers will be enough for this to happen. While repairing the damage will structurally fix the window, a permanent cosmetic blemish will likely remain. We also service all of Jefferson and Shelby County as well as most of St. Clair County.